Christian Louboutin's 'Madmonica' sandals are one of the few signatures styles that get a brand new update every season. 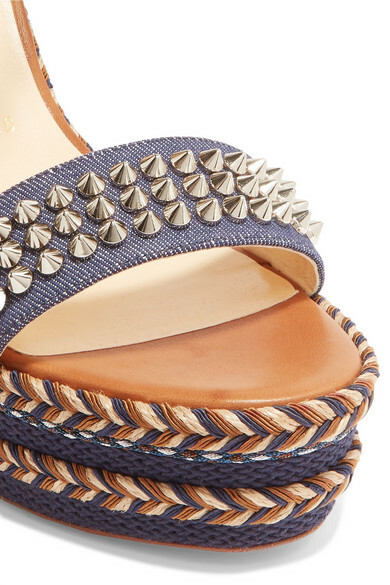 This espadrille version is made from denim and raffia with instantly recognizable spikes and a red lacquered sole. The platform makes the 110mm wedge heel more manageable. Shown here with: Ellery Dress, Miu Miu Shoulder bag, Sophie Buhai Ring.